As experimental facilities generate higher-resolution images at higher speeds, scientists struggle to manage and analyze the resulting data, which is often done painstakingly by hand. For example, biologists record cell images and painstakingly outline the borders and structure by hand. One person may spend weeks coming up with a single fully three-dimensional image of a cellular structure. Or materials scientists use tomographic reconstruction to peer inside rocks and materials, and then manually label different regions, identifying cracks, fractures, and voids by hand. Contrasts between different yet important structures are often very small and “noise” in the data can mask features and confuse the best of algorithms. Their goal was to figure out how to build an efficient set of mathematical “operators” that could greatly reduce the number of required parameters. 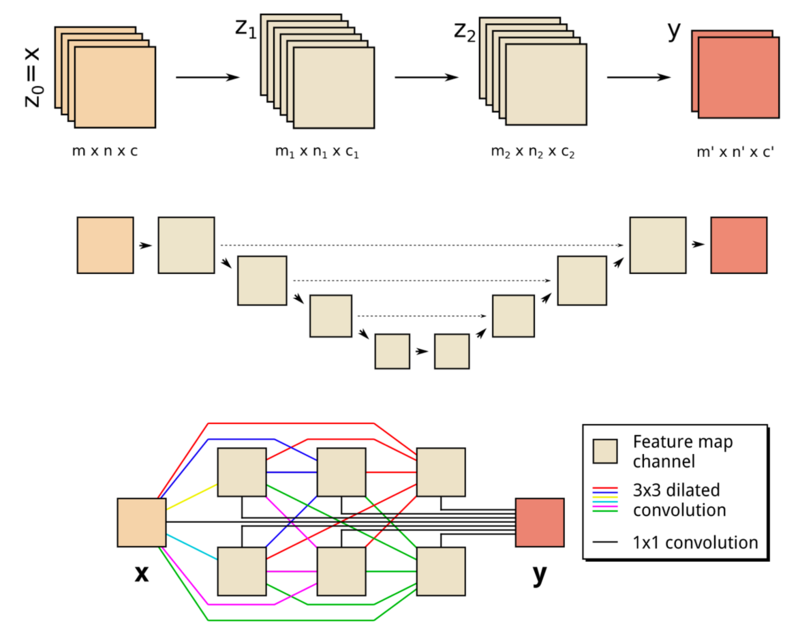 Many applications of machine learning to imaging problems use deep convolutional neural networks (DCNNs), in which the input image and intermediate images are convolved in a large number of successive layers, allowing the network to learn highly nonlinear features. To train deeper and more powerful networks, additional layer types and connections are often required. DCNNs typically use a large number of intermediate images and trainable parameters, often more than 100 million, to achieve results for difficult problems. The new method the mathematicians developed, “Mixed-Scale Dense Convolution Neural Network” (MS-D), avoids many of these complications. It “learns” much more quickly than manually analyzing the tens or hundreds of thousands of labeled images required by typical machine-learning methods, and requires far fewer images, according to Pelt and Sethian. The MS-D approach is already being used to extract biological structure from cell images, and is expected to provide a major new computational tool to analyze data across a wide range of research areas. In one project, the MS-D method needed data from only seven cells to determine the cell structure. “In our laboratory, we are working to understand how cell structure and morphology influences or controls cell behavior. We spend countless hours hand-segmenting cells in order to extract structure, and identify, for example, differences between healthy vs. diseased cells,” said Carolyn Larabell, Director of the National Center for X-ray Tomography and Professor at the University of California San Francisco School of Medicine. To make the algorithm accessible to a wide set of researchers, a Berkeley team built a web portal, “Segmenting Labeled Image Data Engine (SlideCAM),” as part of the CAMERA suite of tools for DOE experimental facilities. A different challenge is to produce high-resolution images from low-resolution input. If you’ve ever tried to enlarge a small photo and found it only gets worse as it gets bigger, this may sound close to impossible. As an example, imagine trying to de-noise tomographic reconstructions of a fiber-reinforced mini-composite material. 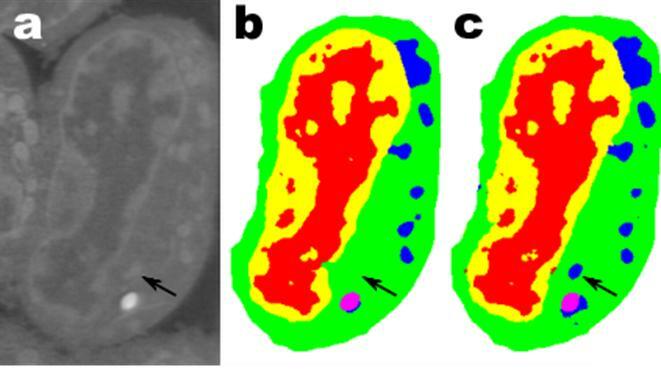 In an experiment described in the paper, images were reconstructed using 1,024 acquired X-ray projections to obtain images with relatively low amounts of noise. Noisy images of the same object were then obtained by reconstructing using only 128 projections. Training inputs to the Mixed-Scale Dense network were the noisy images, with corresponding noiseless images used as target output during training. The trained network was then able to effectively take noisy input data and reconstruct higher resolution images. Pelt and Sethian are now applying their approach to other new areas, such as real-time analysis of images coming out of synchrotron light sources, biological reconstruction of cells, and brain mapping. ** In 2014, Sethian established CAMERA at the Department of Energy’s (DOE) Lawrence Berkeley National Laboratory as an integrated, cross-disciplinary center to develop and deliver fundamental new mathematics required to capitalize on experimental investigations at DOE Office of Science user facilities. CAMERA is part of the lab’s Computational Research Division. It is supported by the offices of Advanced Scientific Computing Research and Basic Energy Sciences in the Department of Energy’s Office of Science. The single largest supporter of basic research in the physical sciences in the United States, the Office of Science is working to address some of the most pressing challenges of our time. Deep convolutional neural networks have been successfully applied to many image-processing problems in recent works. Popular network architectures often add additional operations and connections to the standard architecture to enable training deeper networks. To achieve accurate results in practice, a large number of trainable parameters are often required. Here, we introduce a network architecture based on using dilated convolutions to capture features at different image scales and densely connecting all feature maps with each other. The resulting architecture is able to achieve accurate results with relatively few parameters and consists of a single set of operations, making it easier to implement, train, and apply in practice, and automatically adapts to different problems. We compare results of the proposed network architecture with popular existing architectures for several segmentation problems, showing that the proposed architecture is able to achieve accurate results with fewer parameters, with a reduced risk of overfitting the training data.